[Nominee] Best Original Song - "Bound to You." The storyline started when Ali (Christina Aguilera) a waitress in Iowa decided to leave her homeland and went to Los Angeles to follow her dreams of becoming a professional singer. Well, like other cliche, she underwent into so much hardships and failures as she tried her luck in a different environment. By chance she saw a Burlesque club, setting her feet into a world where sensual and artistic performances were a living. Like the usual success tales, she was rejected, then tried again working as a waitress and when Tess (Cher) challenged her to perform like she owns the stage, the start of her sparkles came in. Seeing her memorize all those dance steps and songs is a great wonder to me. How could a simple girl instantly got "Wagon Wheel Watusi" in just a snap of time? As a cinephile/ Christina Aguilera-fan-since-then, I could say that the movie has this excellent and unique musical scores as well as the dance scenes. Cher and Aguilera, were a great pair because they have their names in the music industry. Christina's voice is so powerful with all those high notes plus great choreography would make the viewers entertained. The impeccability of club scenes and musical numbers including to that of Kristen Bell's were really fantastic with regards to the costumes, the stage and the dancers. Of course we could experience the drama revolving around the lives of our two women protagonists. Tess is having a hard time thinking how to save the club who had been a sentimental part of her life. In the midst of all her adversities, Ali came like a savior angel who by her talent and voice, gave new changes to the performances in the club because she can sing live. In the end, Ali is a hero by finding about the air rights and Marcus' evil plans to build a skyscraper making the contractor buy the air rights above the club. On the other side, while on her flourishing career, Ali was in the middle of attraction to Jack, her knight in shining armor who saved her homelessness and one of the main reasons why she had the chance to stay at the club as a waitress. When an infatuated Marcus lifts her up and gave her a gift, Jack tried to tell her that some people were just into her because she is famous. The theme of the movie is all about pursuing your goals and to overcome difficulties. These two woman have their struggles and adversities and what is common about them is that they were fighting. One is passionate and driven to make her dreams come true and would gamble for chances and the other one is fighting to prevent the most important thing in her life from vanishing. The love story of Ali and Jack for me is commonplace but sweet. Comedic parts were infused, I like the scene were Jack repeatedly said good night and end up making love with her. Overall, I would say that this movie is great regarding the songs and dance numbers that we would not forget the quality of songs and performances. The acting were not that superb but we should thank Christina and Cher's voices for bringing nourishment to the film that it made the movie soundtrack an A quality. If you loved musical movies, then I expect that you already watched this. 1. Christina's vocal range and dance moves. 2. 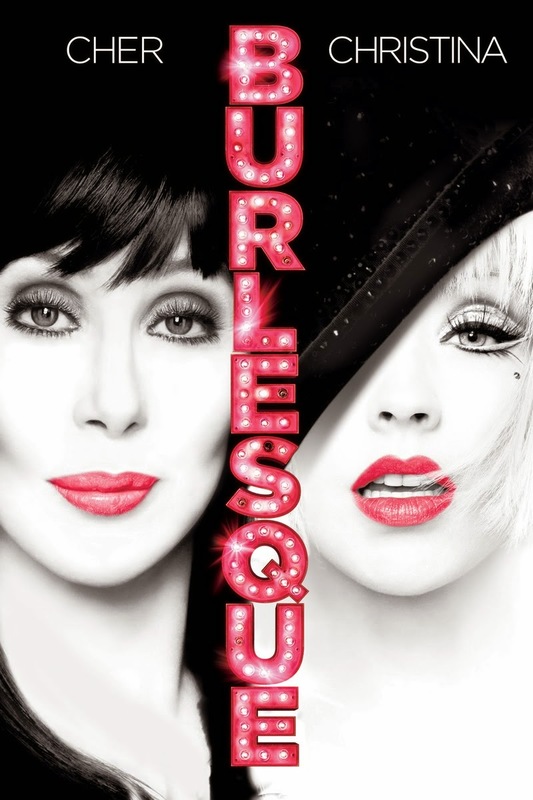 Cher appeared in a movie after quite a long time. 3. The soundtrack is absolutely amazing. You'll love the songs. 4. Cam Giganet is hot.